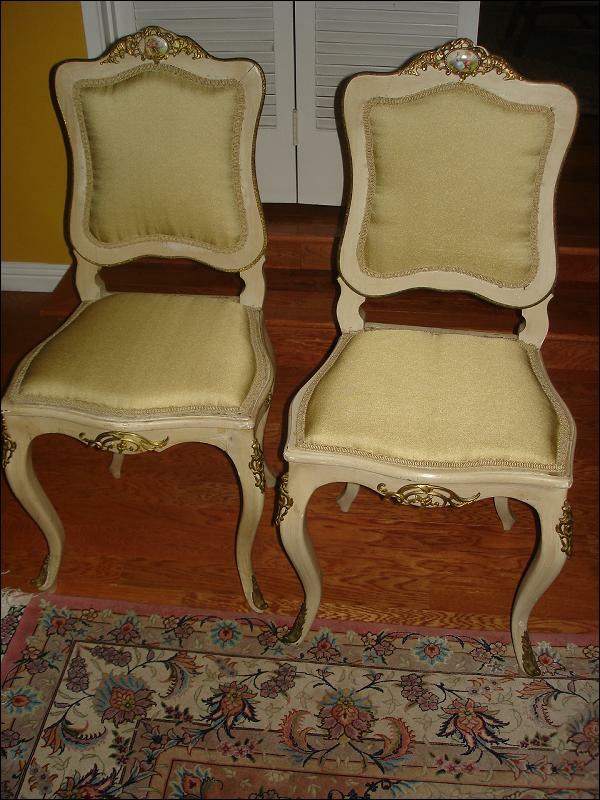 Lovely pair of French antique Louis XV painted chair circa 1900, cabroile legs and decorated with embellished with bronze mounts. 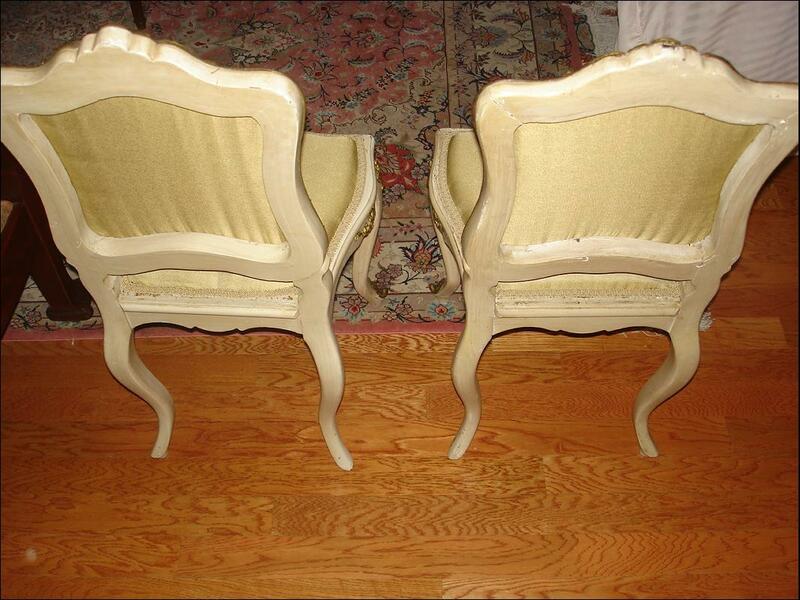 They are in original paint. 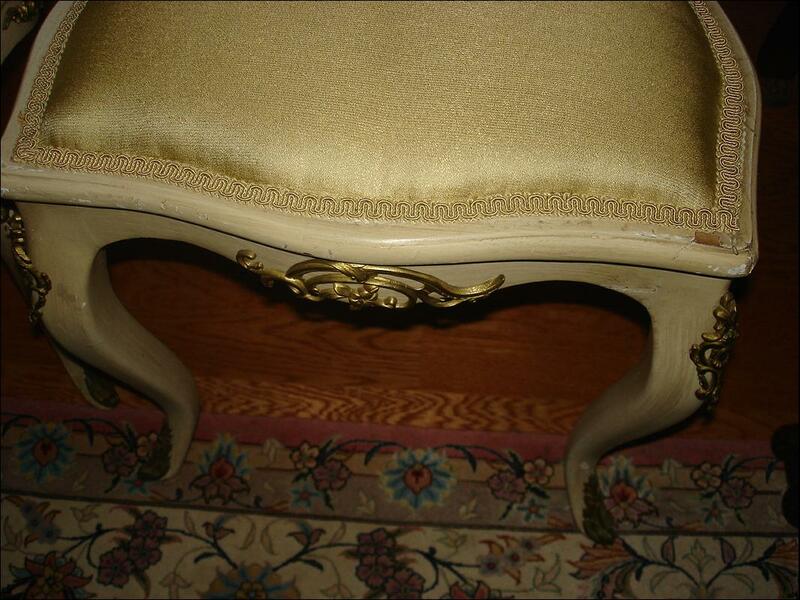 Newly reupholstered with golden sateen fabric. 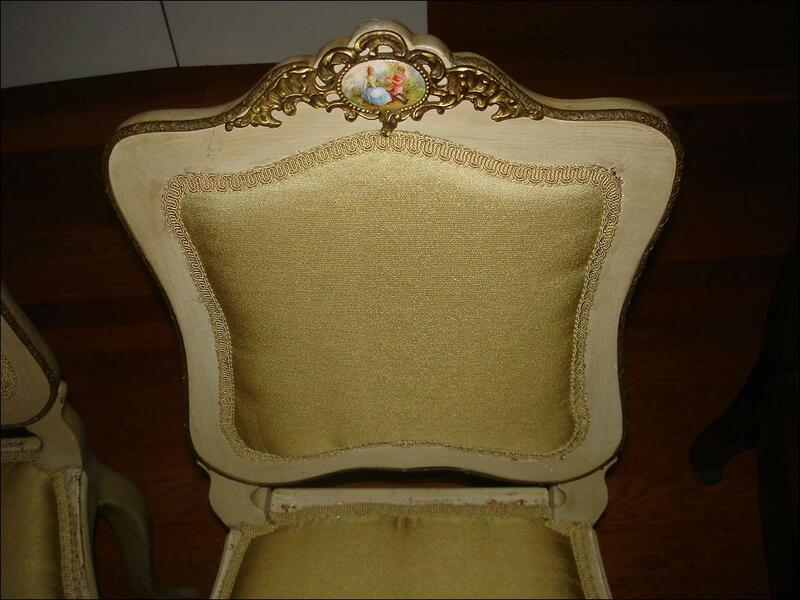 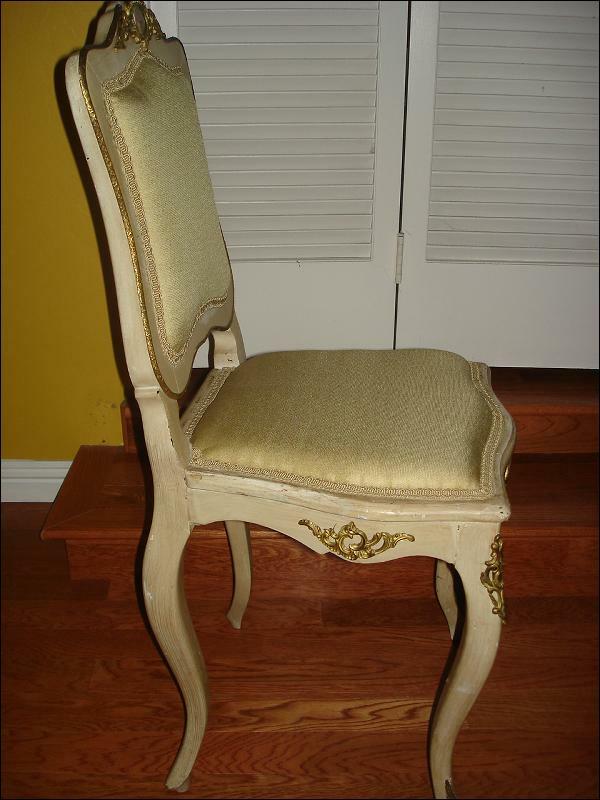 Items Similar To "French antique Louis XV style painted chairs"